This post is sponsored by the James Avery Collection. All pictures and opinions are my own. 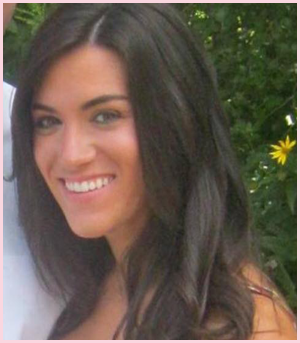 With the holiday season approaching closer each week, I become more and more excited! Of course, who doesn't love gathering with friends and family, opening up gifts, celebrating another year together but also, missing those that we wish could be there enjoying the moment too. As another year passes and being a Mom of two children this year, I myself thinking of my three Grandparents who are no longer with us. They all were never able to meet their grandchildren and although I tend to get sad when big holiday's approach like Christmas, I know that it would have been such a joy to see them laughing, smiling and enjoying this holiday with all of us. 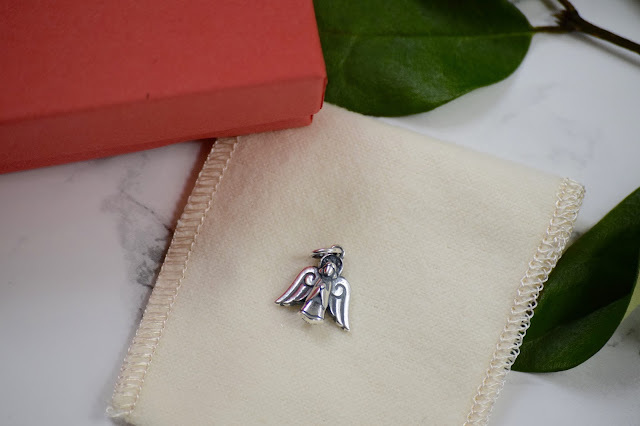 As a way to remember my special Grandparents, I've partnered with James Avery to share a beautiful charm they sent me as part of their Christmas collection. The charm I chose was their Angel Of Peace for obvious reasons. 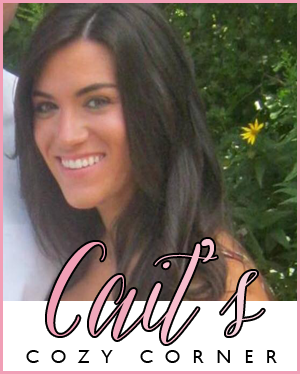 The angel to me represents all of those loved ones, both family and those that feel like family, who are no longer with us. The angel is a symbol of hope, unity and peace that they are not suffering from their ailments, that they are truly in a better place and that they will live in as we always remember and talk about them. Of course my almost 4 year old and 7 month old won't be able to physically meet my grandparents and close friends in person, but talking about them, sharing pictures and stories will make it seem as if they still can get to know them. I have a picture of my Grandmother in Lily's room which is a great reminder to her ( and even myself ) to share stories. 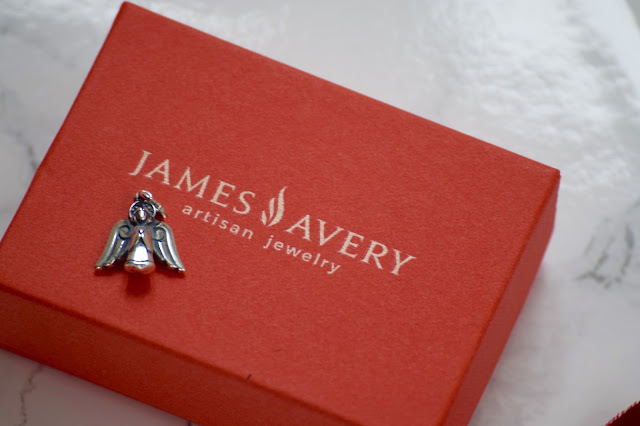 If you're looking for something special to give this year, be sure to check out James Avery Jewelers. 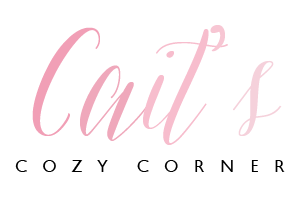 They don't just have adorable and charming charms but gorgeous necklaces, rings, statement earrings and more! 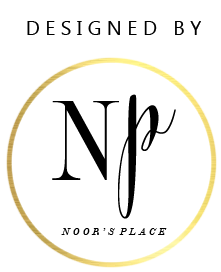 You'll find so much and more when it comes to this jeweler. 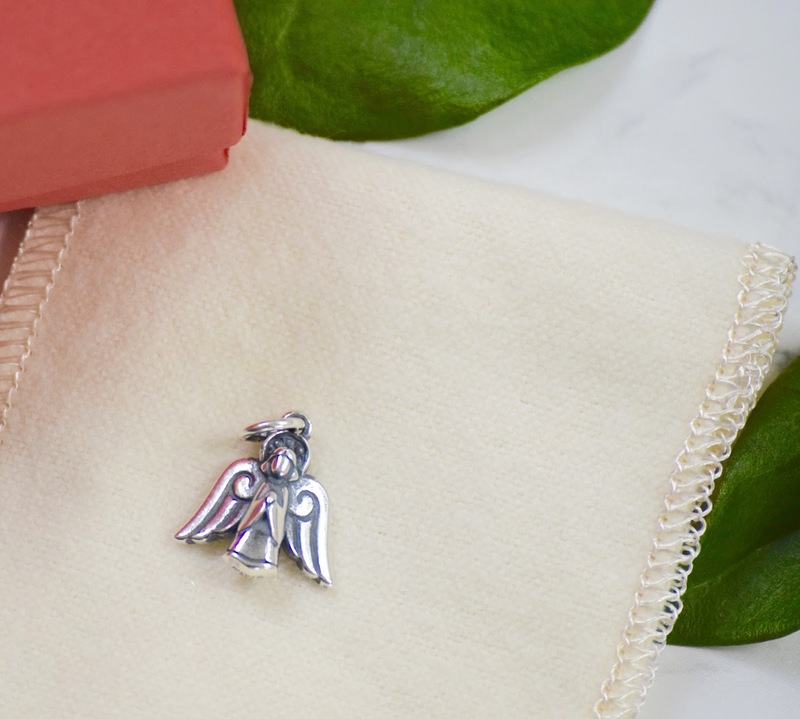 You're able to win one of these gorgeous Angel charms! Head over to my Instagram account for more details! What a lovely charm! The holidays can be tough when you're missing loved ones. 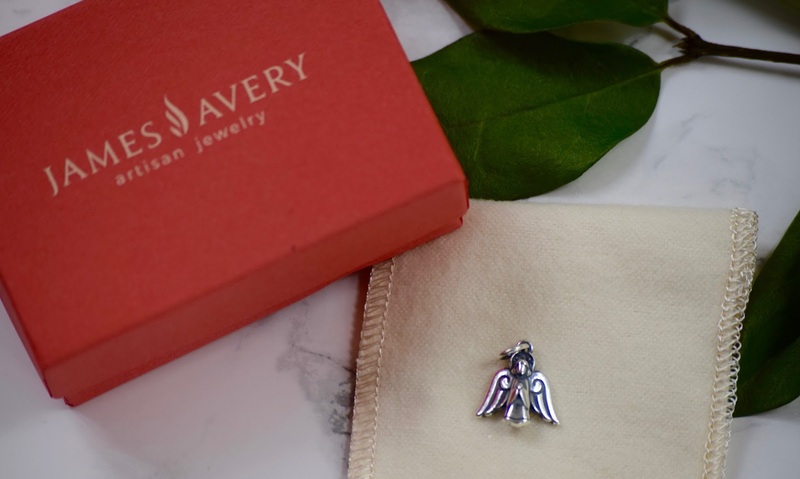 This angel is a nice reminder of the ones we love! I don't wear charm bracelets or anything on my wrists much because I have small wrists but I would so get a necklace with a charm. so cute charm! 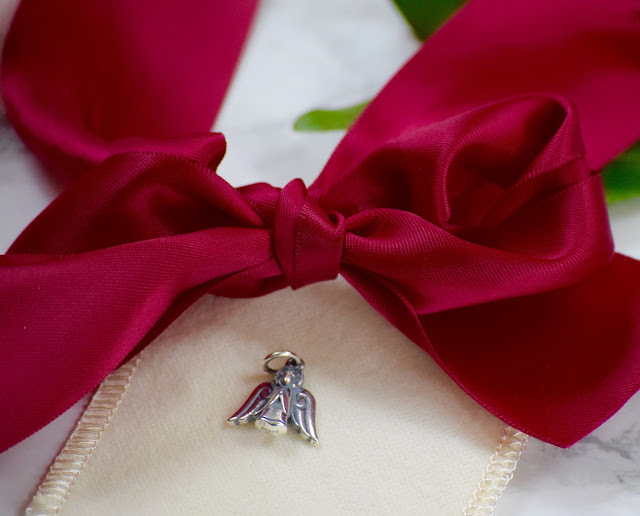 I liked the angel charm and I think its good as present too. Oh this is beautiful! This is a fabulous present for Christmas!